Gilchrist County is Florida’s newest county, created in 1925 and named after the state’s governor from 1909 to 1913, Albert W. Gilchrist. The county has a number of historic buildings. Bell is a small town that was named after a beauty contest winner. Trenton is the county seat. Fanning Springs was once the site of a military installation, Fort Fanning. Today Fanning Springs welcomes many visitors who come to visit the many springs in the area and to enjoy the Suwannee River. The county was the home of farms and timber industries. The railroad came to Gilchrist County, and many stores and restaurants sprung up around it. Real estate in Gilchrist County has multiplied significantly in recent years. Gilchrist County home buyers appreciate the area’s small town feel and relaxed pace. Nestled in North Central Florida, Gilchrist County offers rural tranquility within proximity to the metropolitan areas of Gainesville and Jacksonville. The county covers 355 square miles. Gilchrist County only has two towns completely within its borders, Trenton and Bell, Florida. Fanning Springs is a small community that is shared with Levy County. In 2011, the population of Gilchrist County was 17,000. Real estate in Gilchrist County is still a bargain, and any Gilchrist County home buyer is sure to see appreciation in the value of his home in this growing community. Gilchrist County Real Estate offers some great values for home buyers. This quiet corner of Florida has the potential for increased growth and the potential for rising home values. Homes for sale in Gilchrist County include single-family and mobile homes, with prices from $10,000 to over millions for Horse farms, Dairy farms, Ranches, Large Timber Tracts or Waterfront properties. Gilchrist County FL real estate generally has generous land for hobbies, pets and playground areas. Gilchrist County is home to a number of natural springs. The Fanning Springs State Park, on the Suwannee River, is a popular stop for residents and visitors to the area, with swimming, snorkeling, playground, picnic area, volleyball court, hiking biking and wildlife viewing. 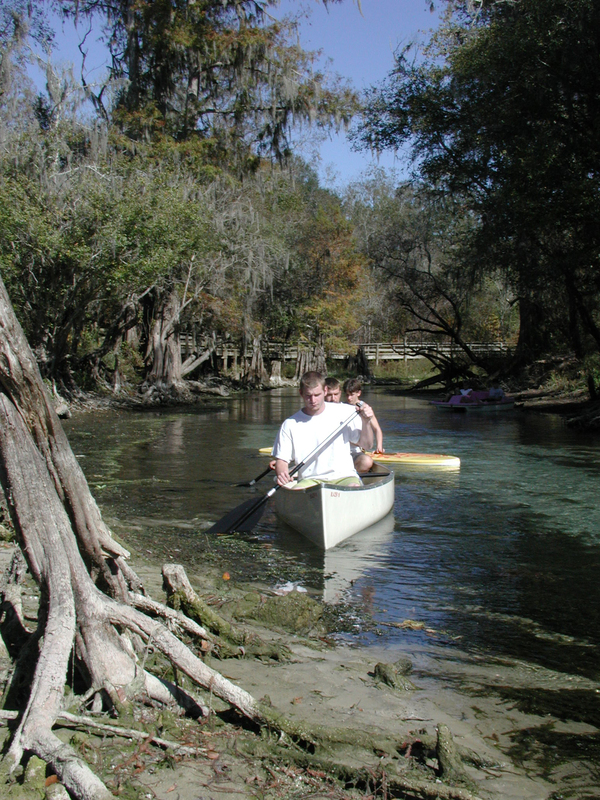 Hart Springs in Bell, Florida is another spot for swimming, camping, boating, fishing, canoeing and kayaking. Otter Springs and Gennine Springs are great for camping, scuba driving or relax in a peaceful natural settings. Gilchrist County is also the home to festivals that happen throughout the year. In the spring, residents can experience The Suwannee Valley Quilt & Old Time Craft Festival or The Fall Down Home Days Arts & Crafts show that is held in downtown Trenton. In December there is the Christmas on Main Street in Trenton, Bell offers the Christmas Parade and Christmas Lighting Ceremony, and Fanning Springs has the Festival of Lights & Boat Parade for the community. For more information about this surprising part of North Central Florida properties in the area, contact Troke Realty to discuss the availability of Gilchrist County properties. Bell, Dixie County, Fanning Springs, Gilchrist County, Levy County, and Trenton. Contact Troke Realty to find out more about these communities.